Report of Patients who have missed doses over a period of time can be produced. 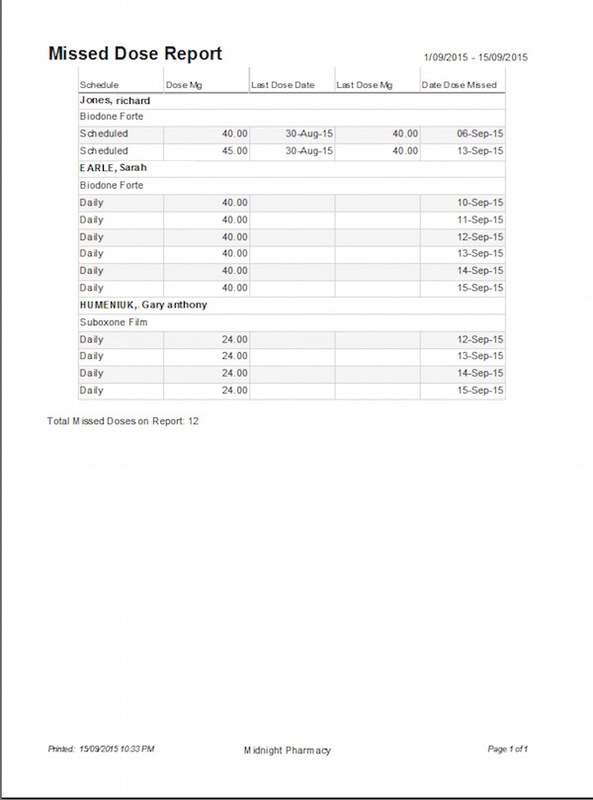 This report is accessed from the Report Menu and is opened from a Date Range form. 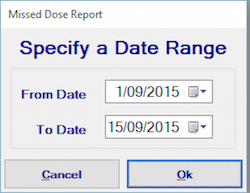 Enter a date range and Click OK. The following report will be produced.